Benson Lumber and Hardware prides itself on having a dedicated team of professionals who are knowledgeable and experienced in their industry. Many of the individuals have been with the company for over a decade and maintain a strong team and company-based philosophy. When you speak to any of the skilled staff at Benson Lumber & Hardware, you’ll notice a strong sense of cohesiveness, cooperation and enthusiasm – one that you don’t typically find elsewhere. 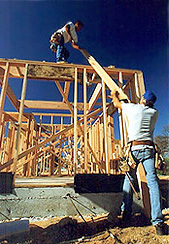 The Benson Lumber & Hardware team is dedicated to serving the residential and commercial business community. Since its inception in 1913, the Benson family has worked to share a common purpose – to work hard in an atmosphere of mutual respect and trust – while offering customers exceptional products, outstanding customer service and superior value. Today more than 100 years later, the same philosophy still holds strong but with more products and services to better address the needs of the community – from lawn and garden, building material contractor sales to sporting equipment. We invite you to visit either of our two locations – in Derry or Londonderry – and see for yourself how remarkable the staff really is. Come work with us! Review our excellent benefit package and download our employment application.